Firstshowz.com has earlier informed to our viewers that Allu Arjun has signed up for a film in Vakkantham Vamsi direction and it has been titled Naa Peru Surya – Naa Illu India. The cameras are all set to roll shortly and the pre-production works are in progress. The makers are yet to finalize the lead lady of the movie. While there has been buzz that Rashmika Mandanna, Nivetha Thomas are under consideration for the movie, the production team has clarified that none of them have been finalized. 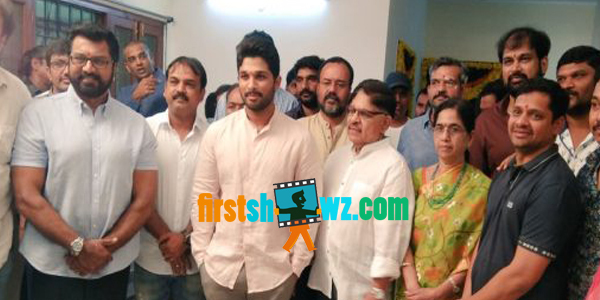 Allu Arjun is essaying the role of a soldier in this patriotic drama, set against the backdrop of war. Music is by Vishal-Sekhar duo and Cinematography is by Rajeev Ravi.